ACCIONA Infrastructure Canada (AIC) has been involved with civil infrastructure and building projects across the country since 2001. AIC is headquartered in Vancouver, with offices in Calgary, Toronto and Montreal. As a subsidiary of one of the world's leading infrastructure companies, AIC benefits from financial stability and an outstanding track record of global project delivery which allows us to provide the highest level of engineering and construction to better serve local projects. The City of Toronto Deep Lake Water Cooling (DLWC) system is the world’s largest cooling solution of its kind. The system was built by ACCIONA Infrastructures in 2002 to offer a sustainable alternative source of air conditioning by using cold water from the depths of Lake Ontario to cool downtown Toronto office buildings. In April 2008, ACCIONA was awarded its first project for concession in Canada. The Royal Jubilee Hospital Patient Care Centre is ACCIONA Infrastructures’ first social infrastructure project in Canada. The Royal Jubilee Hospital Patient Care Centre is an example of how public-private partnerships can deliver social infrastructure, while integrating innovative, sustainable building practices for the betterment of the community. The Royal Jubilee Hospital Patient Care in Victoria, BC is one of the largest LEED Gold-certified medical buildings in North America. ACCIONA is a global front-runner in renewable energies. With a large landmass and diversified geography, it is no wonder that Canada is known as a world leader in renewable energy production and consumption. ACCIONA's world renowned research and development in this areas enables it to harness this unlimited opportunity to fuel client's energy needs in a clean and sustainable manner. Infrastructure plays a key role in the advancement of economies and societies. It is the vital link connecting people to goods and services which promote both social and environmental wellbeing. The work we develop today provides a foundation for the current as well as future generations. Today, as a leader in sustainable construction, renewable energy, water and services ACCIONA's promotes sustainable development and social welfare. Our global expertise is combined with a solid track record in concessions from the design and construction through finance and management to operation and maintenance of infrastructure projects. 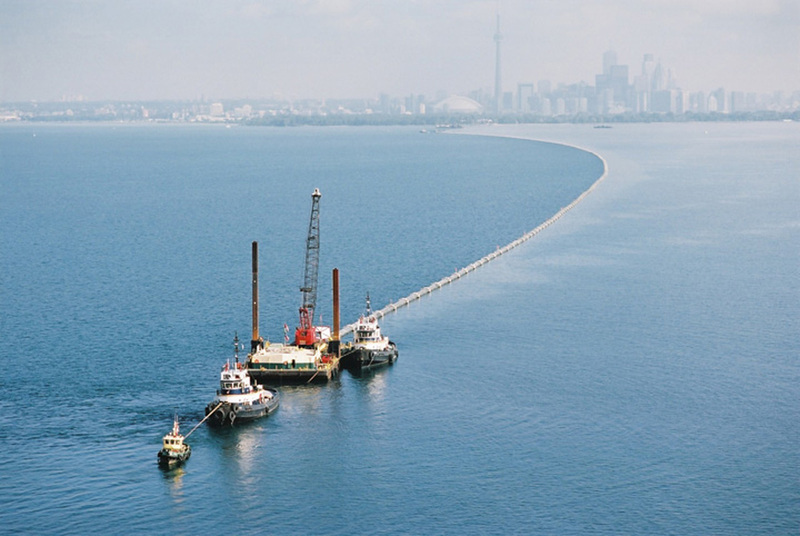 Since 2001, we have been awarded nine major Canadian infrastructure projects with a cumulative value of $4.3 billion.